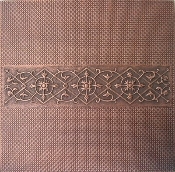 Copper Wall Murals Or Copper Floor Tiles! 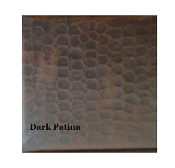 Custom Design Size, Patina Finish! Custom Copper Murals: Choose The Size, Patina Finishes And Design. Everything We Build Is Built To The Customer's Specifications. You Choose The Size, Decorative Design, Plus Mix & Match 16 Patina Finishes. Create A Custom Copper Mural By Submitting An Image. What Can We Build For You? Copper Mural Heron #3 12" x 16" Copper Patina Samples Copper Mural Dragonfly Garden 23" x 16" Copper Mural Frog Lilly Pond 12" x 16"
Copper Mural Heron #2 12" x 16" Copper Mural Heron 12" x 16" Copper Mural Horse 12" x 16" Copper Mural Horseshoe 12" x 16"
Copper Mural Texas Flag 23' L x 16" H Copper Mural Bears 24" x 36" Copper Mural Egyptian 12" x 16" Copper Mural Gallipot 12" x 16"
Copper Mural Cat 12" x 16" Copper Mural Grecian 12" x 16" Copper Mural Wine Barrels 12" x 16" Copper Mural Wine & Grapes 12" x 16"
Copper Mural Dog 12" x 16" Copper Mural Tree Of Life 24" x 36" Copper Mural Elk 24" x 36" Copper Mural Fresco Flower 24" x 36"
Copper Murals Humming Bird 20" x 12" Copper Murals Flowers #2 32" x 20" Copper Mural Fruit 24" x 36"
Copper Murals Can Be Custom Built To Any Size. Call Customer Service At 800-989-5166. Before Buying, Be Sure To Check Our Coupon Page For Our Latest Sale Discounts!